AROOSTOOK COUNTY - Is your online marketing lackluster? Does Facebook advertising confuse you? If you said yes to either or both of these questions, then a free online training presented by Aroostook County Tourism, Maine Woods Consortium and Women, Work, and Community Monday, April 13, from 10 a.m. to 11:30 a.m. may help. The training will be done online using Adobe Connect, which participants can link to from their home or business, provided a high-speed Internet connection is present. "In this online training targeted at Maine tourism businesses, we will explore real-life examples of successful Facebook marketing," said Erica Quin-Easter, who will facilitate the workshop. - promote your business in a dynamic way on Facebook. "Whether you love it or you hate it, Facebook has the lion's share of social media activity," she added. "Maintaining an active and effective business presence online is as important today as having a good handshake, and social media keeps you connected to your customers and your business community." 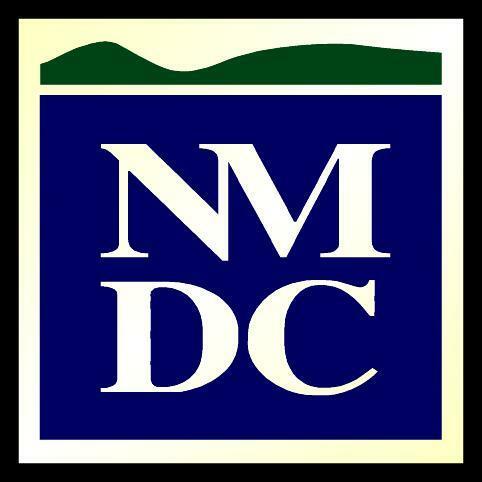 A registration link for the training is available on www.nmdc.org or by clicking this link. The initiative is a project of the Maine Woods Consortium with funding support from the U.S. Department of Agriculture Rural Development. USDA is an equal opportunity partner, funder and employer. AROOSTOOK COUNTY - Aroostook County, known for forests and farmland, has drawn the interest of a foreign company looking for agricultural based opportunities in the region and the Aroostook Partnership for Progress (APP) and Northern Maine Development Commission (NMDC) are playing a role in business attraction efforts. Earlier this week the Maine International Trade Center (MITC) hosted officials from a foreign food processing company and much of the agenda consisted of fact finding in Aroostook County, with a big assist from NMDC staff including Director of Planning and Development Alain Ouellette. "The two-day tour where we met with producers, processors and industry trade organizations went extremely well," said Ouellette. "We believe we provided the company with compelling information necessary for them to favorably consider our region as a place to expand their operations using the resources and industry knowledge that already exists right in our own backyard." APP President Bob Dorsey also met with company officials on both days of the tour, which included visits with growers, processors, industry officials and others. "The recent meetings were very productive, this company was 'exploring opportunities' and were open to a wide range of ideas from forming a new joint venture processing effort, to purchasing Maine potatoes as feedstock to exporting Maine goods to Europe," said Dorsey. "We set up meetings with the Maine Potato Board and several local entrepreneurs and enterprises for them to get a good overview of the kinds of processing and products that exist in northern Maine. So they learned about our current production, the potential for the area to grow an additional 20,000 acres easily as feedstock, a number of innovative products from McCrum Farms, LaJoie Growers and Naturally Potatoes, transportation issues and challenges and the real strengths of our area for both growth and production." Several different organizations pulled together to highlight the region and what it has to offer and both Dorsey and Ouellette agreed economic development is better when done collectively. "Business attraction is very much a 'team sport' - this effort was enabled by MITC and both Janine Cary and the European consultants were instrumental in making this visit happen," said Dorsey. "This is their area of expertise and we dovetail nicely once they find a candidate to set up the local visits and meetings to facilitate the foreign company's exploration efforts. So we cannot do it without them and they certainly need our local area knowledge and contacts to make for a successful visit." "Such an approach makes it possible for us to promote and support growth by ensuring all the right players are at the table to make sure that we are providing accurate, timely and compelling reasons for economic growth and expansion in one sector or another," added Ouellette. "Our team may at times represent a local community's economic development staff, to state and federal business assistance and attraction organizations who work together with us to help grow our region's economy. Our recent work with the Maine International Trade Center is a perfect example of the degree of collaboration that must take place to be successful." Editor's Note: The name of the company is being kept confidential.